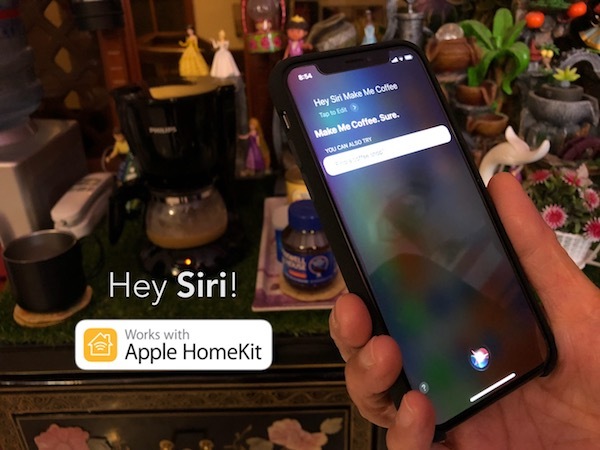 $45 HomeKit Coffee Maker: Hey Siri, Make Me Some Coffee! About an year or so ago, Apple released a video showing off some of the things you could do with Siri and Home app in iOS 10. Recently, I came across the video again and noticed that it showed a “Breakfast Time” HomeKit scene in the Home app tapping which turns on a coffee maker. I wanted something similar for my HomeKit setup. Now those of you who follow me on Instagram or Twitter would know that I consider myself a fairly early adopter of home automation stuff starting with SmartThings, Nest and Philips Hue way back in 2012. After trying out various smart home automation platforms, I finally settled with Apple HomeKit ecosystem in 2013 because it just worked better for my needs. While HomeKit accessories and the ecosystem in general has grown and improved a lot from the early days in 2013, it still lacks support from many third-parties, especially in home appliances department mainly due to Apple’s strict control over partner accessories due to security and privacy requirements (although that is said to become easier with software authentication coming in iOS 11.3). 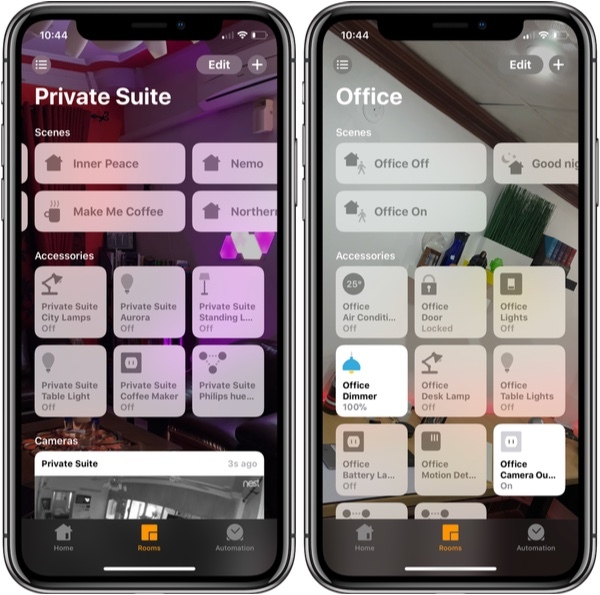 So when I came across Apple’s aforementioned video from last year, I tried figuring out how could I automate something as simple as making coffee in the morning through HomeKit? Turns out, it was much simpler and easier than I thought it would be. The coffee maker I previously had was programmable with no single on/off button or switch to operate. It required some sort of user input through programmable buttons before it could start making coffee for me. All I needed to automate my coffee making routine through HomeKit was a non-programmable dumb coffee maker with an on/off physical button and put it through a HomeKit-compatible outlet, and that was it! So yes, I now have a very simple coffee maker with single on/off physical switch which is always set to the on position with actual power state being controlled through a HomeKit outlet either using Siri, the Home app, or the HomeKit automated scenes. I went with Philips coffee maker. You could go with any similar option (Mr. Coffee one costs just $15 on Amazon!). For HomeKit outlet, I went with the $29 Koogeek Smart Plug over Elgato Eve Energy and others because I have found them to be very reliable as they work over WiFi as opposed to some of the Bluetooth options in the market. Again, you could go with any similar option you like (check the links below for various WiFi options I like). Koogeek also works with Alexa and Google Assistant, so while Siri is my preferred way of going about controlling my home, it doesn’t hurt that I can control my coffee maker even with Alexa and Google Home since I currently have both in my home. Apple HomePod will likely make them both useless for me but again I don’t mind having more choice. Apple Home app in iOS. So all in all, spending about $45 made my coffee making routine automated through Apple HomeKit. It’s now part of my “Good morning” and “Make Me Coffee” scenes, the former of which is fired up automatically every morning at my specified time. With HomePod finally set to ship next month, I expect HomeKit ecosystem to finally take off and also expect Apple to improve it more rapidly than they have been doing the past few years. I plan to write and share more from my HomeKit setup in the coming days and weeks. Let me know if you would like me to share any specific HomeKit accessory or routine that you are having hard time setting up yourself. Update: I forgot to mention that while Koogeek’s outlets are rated to work on 110v in the US, I imported them from Amazon US and they worked fine for me outside US on 220v voltage. So if anyone of you from UK or Asia is on the fence about these not working outside US, you probably shouldn’t need to worry much. Although I won’t take any responsibility or guarantees for it to work for you as well as they have been working for me. Proceed at your own risk. Ya or just get a coffee maker with a timer on it, but hey, that’s no fun when you can talk to Siri and make coffee ? Early adaptor not adapter. It’s embarrassing that you report news and make that mistake. Patience young grasshopper, everyone makes mistakes. Even major news outlets make typos. 100% perfection/accuracy is the goal, but as long as we get the gist, it’s cool. What with the Video thumbnail for a NEST camera in that Home App screenshot. Is that something you have working in the app? Are you using HomeBridge to achieve that? Please do. I’m interested in how it really works. I have no faith Nest will add HomeKit, yet I have many of their cameras.